Present your best items with Auctiva's FREE Scrolling Gallery. The Magic Wand Review No. 151 Vol. 20 Magic Wand Pub., 1931 Softcover in acceptable condition. Text is clean and unmarked, binding tight. Cover shows slight signs of wear. 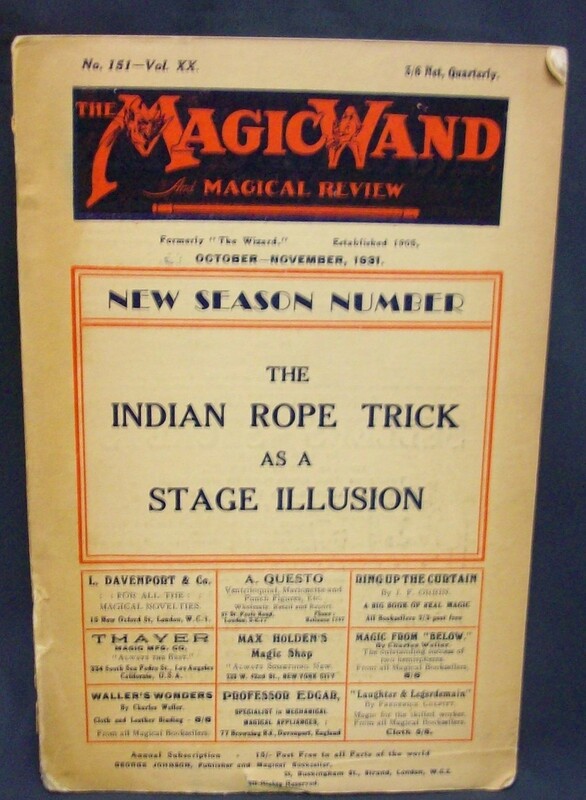 This issue covers the Indian Rope Trick as a stage Illusion as well as other tricks tested by the editors. Covers October-November 1931, loaded with ads, list of magic books, shops to purchase magic supplies etc. B W illustrations, pages # 114-164, Index. Powered by Turbo Lister The free listing tool. List your items fast and easy and manage your active items.